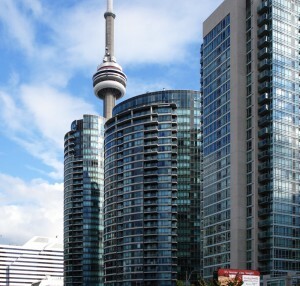 The Toronto Real Estate Board reported the sale of 4,586 condominium apartments through the TorontoMLS system in the fourth quarter of 2013. This result was up by 21% in comparison to Q4 2012 when 3,789 condominium apartments changed hands. Both new listings of this home type during the quarter and active listings at the end of the quarter were down on a year-over-year basis. “This time last year many were predicting that the condo apartment market would experience a downturn, both in terms of sales and selling prices. While there was a temporary lull in sales and price growth in the first half of 2013, we saw an about face in the second half of the year, as buyers realized home ownership remained affordable. As the demand for condos rebounded, competition between buyers increased and the pace of price growth accelerated,” said Toronto Real Estate Board President Dianne Usher. The average selling price for condominium apartments in the fourth quarter was $353,665 – up 6.5% compared to Q4 2012. In the City of Toronto, where condo apartments account for approximately half of sales, the average selling price was up by 8.3% to $381,008. “If market conditions in 2014 remain similar to what we experienced in the last six months of 2013, we will continue to experience year-over-year average price growth for condominium apartments above the rate of inflation. However, there was an increase in condo completions last year. The degree to which investors list their newly completed units for sale and the degree to which these units are absorbed will play a large role in dictating the pace of price growth,” said Jason Mercer, TREB’s Senior Manager of Market Analysis.